Who Will Be the First Online Fashion Retailer With a Mobile-Fueled Events Strategy? As far as I can see, there is no experimentation going on to bring online and offline together or to, for example, get a sense of how location-based services on smartphones could help a large event. 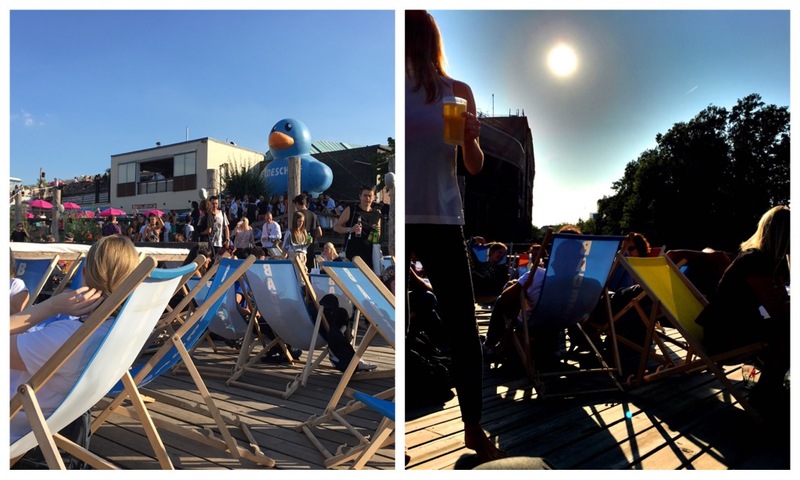 In fact, if you didn’t know beforehand that this is a Zalando event, you couldn’t guess that by attending. That may have been harsh. 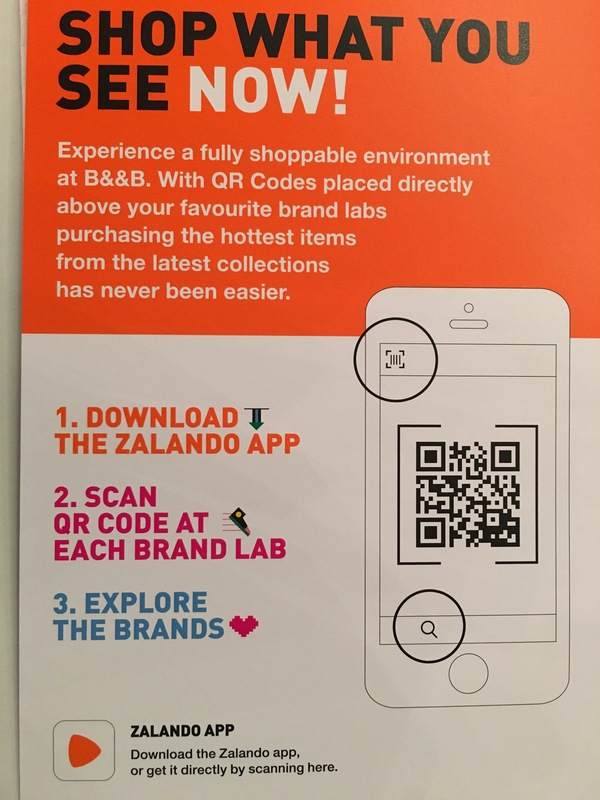 But given how sophisticated Zalando is by now when it comes to strategies for the mobile world, the company’s first large end-consumer event was, well, rather uneventful from a strategic viewpoint. Of course, as with everything, Zalando will be iterating with the Bread and Butter event. But let me be obvious for a second: a yearly event can’t evolve as fast as a mobile app that is getting updated every few weeks. Hence, it would have made more sense to go with a more forward thinking approach to pile up first experiences and market feedback. Instead, we got QR codes. Events are interesting tools for online retailers. That is why Amazon and Alibaba are doing yearly events. The goals for those events can differ greatly. Especially for online fashion retailers events can be very promising, given the attributes of the product category. Besides Zalando, Yoox Net-a-Porter, Vente Privée, and even Asos, could benefit a great deal from a dedicated events strategy with a mobile mindset. How could this look like? Here a few thoughts. Keep in mind that these are just examples, shot mainly from the hip. First, a dedicated events app, for connecting all the dots. Second, a big splashy yearly event to get onto people’s radar. (And to be able to attract brands and celebrities.) This great for many things, but last not least it helps get the events app into people’s hands. Use the events app people have downloaded for the programme of the splashy big event to promote and integrate other things. Fun aspects like treasure hunts, group buying at events could get implemented when and if those make sense. Use beacons to connect nearby people with each other. Maybe satellite events around the main yearly event. Maybe smaller regional events around the year. Once an events app is set up for integrating ticket solutions, community aspects and interactions with products/brands and options for buying items, those named above and other options present themselves easily. At the end, it is about leveraging the mobile sensors: GPS, the camera. One can look, for example, at Amazon’s Treasure Trucks to see how mobile can be used creatively to create a new shopping experience. But first, the online retailer needs to get the events app established. It is hard to get onto people’s smartphones. That is why every incentive one can leverage counts. Once the events app is installed, events can be turned into a strong brand building / customer loyalty strengthening part of the business. Hopefully, it has become clearer now why I was so disappointed with Zalando’s first Bread and Butter.